The ballistic pendulum remains a staple in today’s physics classrooms. It's straight forward and easy to use. 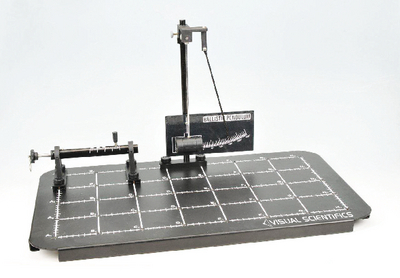 The pendulum is useful for demonstrating properties of momentum and energy. Ordering information: This kit includes a spring-loaded launcher, rigid-arm pendulum with a barrel, measuring board, ball, and small metal rod with a handle. The Visual Scientifics Base is required but not included.